We offer a full range of authentic Thai massage treatments at our wellness centre in St.Julians. Our staff have all been trained at the Watpo School of Thai Massage and are experienced in the ancient arts of wellness and relaxation. Let us pamper you and take care of making you look and feel your best. 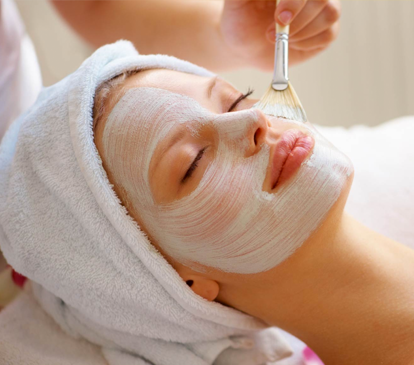 A fully equipped beauty centre with a team of professionals can take care of all your needs offering facial & body treatments at our wellness centres in St.Julians. 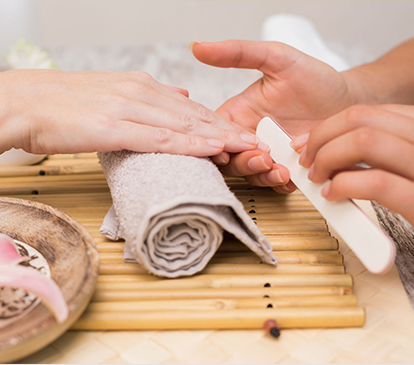 Offering a number of treatments for manicure, pedicure and waxing our trained staff will take care of all your nail and waxing needs using only the latest equipment and technology to make you look your best. Offering a range of Thai and European Massage Treatments to help you relax, combat stress and revitalize your body and mind delivered by our professionally trained experts. Let us take care of your body and bring out your very best with our manicure, pedicure, waxing and beauty treatments using the latest equipment by our experienced professional staff. We are a team of professional wellness, massage & beauty specialists offering a range of treatments to help you feel and look your best. We are different from other wellness centres since from our Eastern training we understand that beauty starts from within and that is why we have a range of massage and wellness treatments to revitalize your inner beauty. Once you are feeling good on the inside then this will radiate and reflect on the outside. We also have a range of gift vouchers available which can be purchased for friends & loved ones as presents for special occasions. Following any exercise & training massaged muscles recover much more quickly in regards to their function and strength. Thai Massage also helps reduce the associated swelling and inflammation. Massage helps people spend more time in deep sleep, the restorative stage in which the body barely moves as well as reducing fatigue and helping people overcome insomnia.